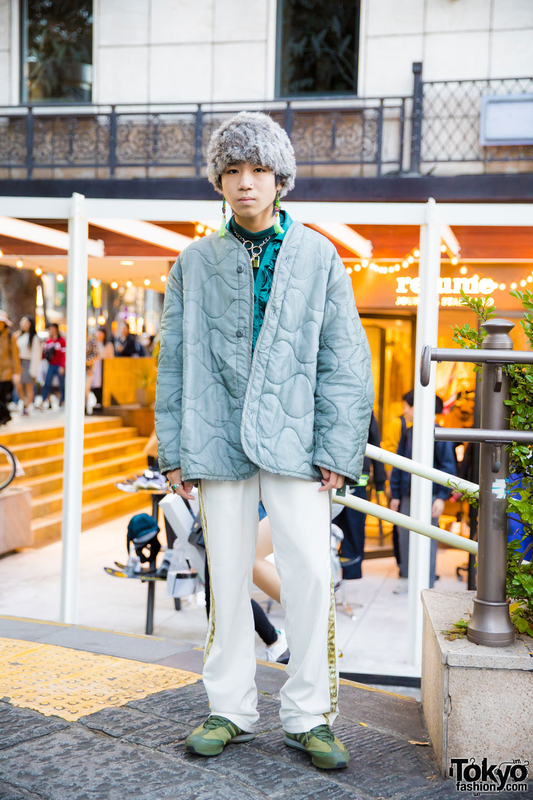 Harajuku guy in winter street fashion with quilted jacket, satin shirt, white track pants, green sneakers, a fuzzy hat, tassel earrings, a lock necklace, and cocktail rings. 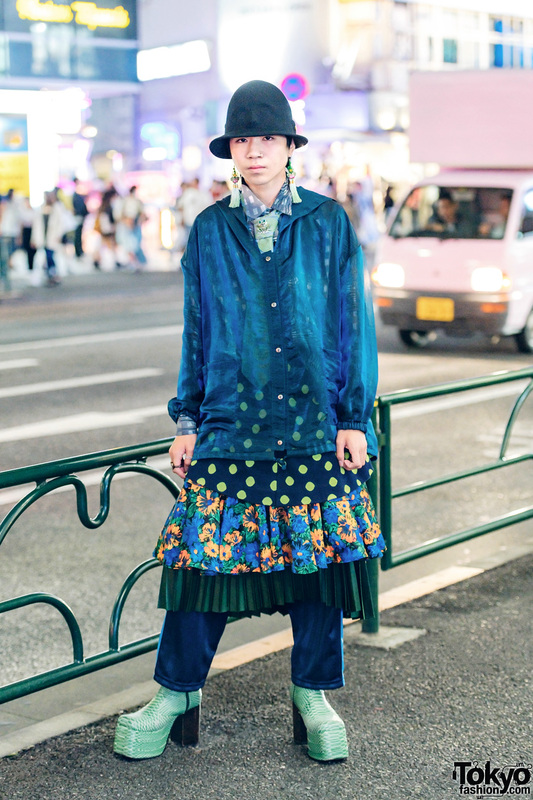 Harajuku guy in vintage street fashion style w/ linen collar shirt, blue pants, platform metallic boots, fringe sling bag, a bucket hat and a striped necktie. 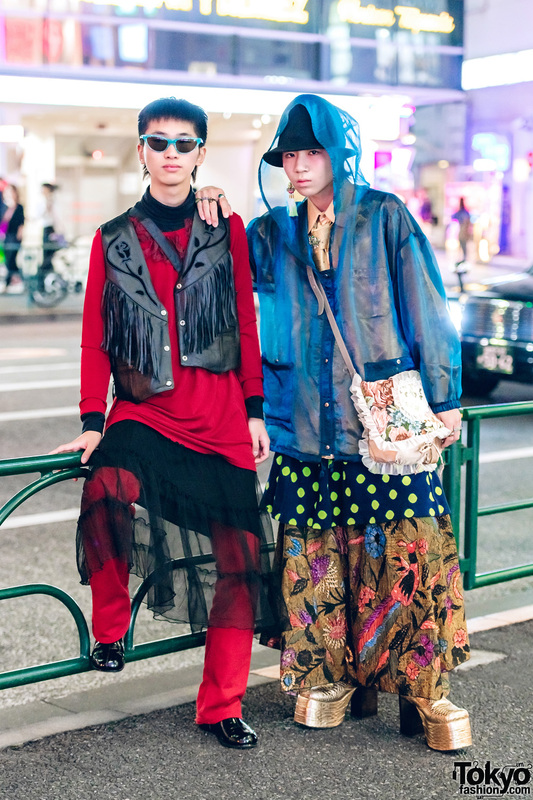 Harajuku guys dressed in layered fashion while out on the street at night. 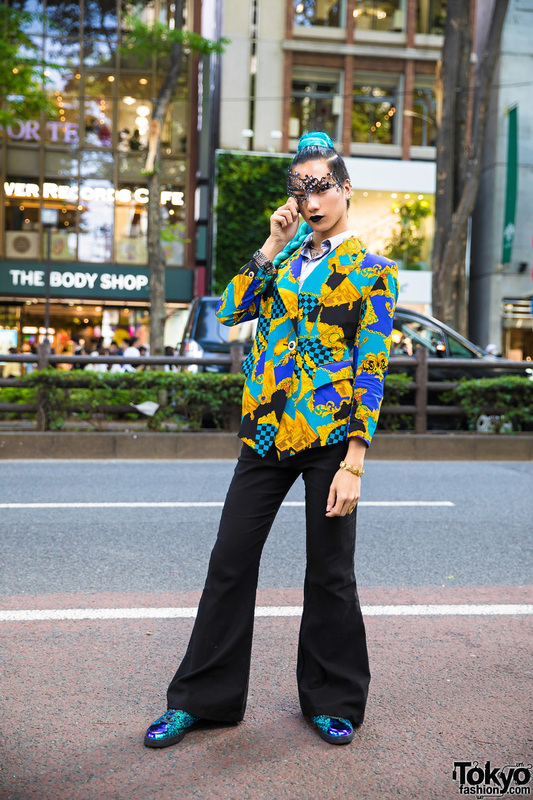 Harajuku guy showcasing androgynous vintage street fashion. 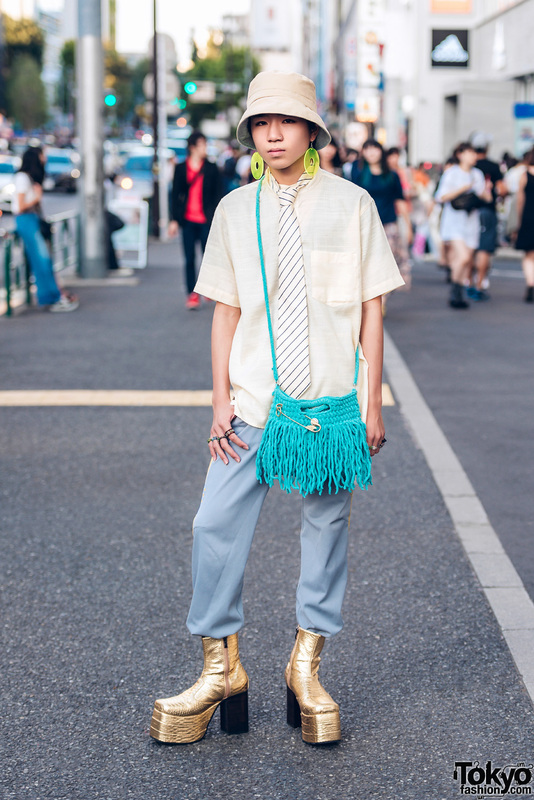 Harajuku guy in shades of green street fashion with teal jacket over printed shirt, shorts, platform boots, and a fringe sling bag. 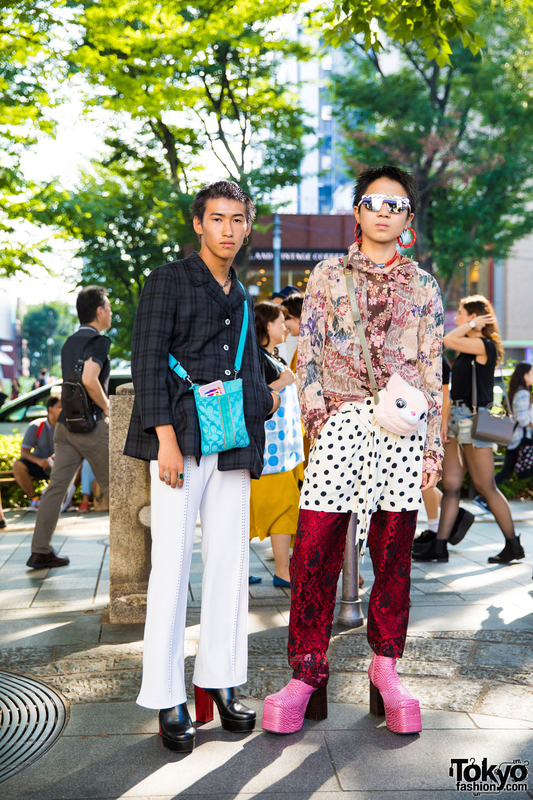 Harajuku guys in retro vintage and all over print fashion featuring a handmade plaid coat, white pants, platform heeled boots, sling bag, floral print long sleeve, polka dot skirt over patterned pants, pink boots, plush sling bag, and accessories.